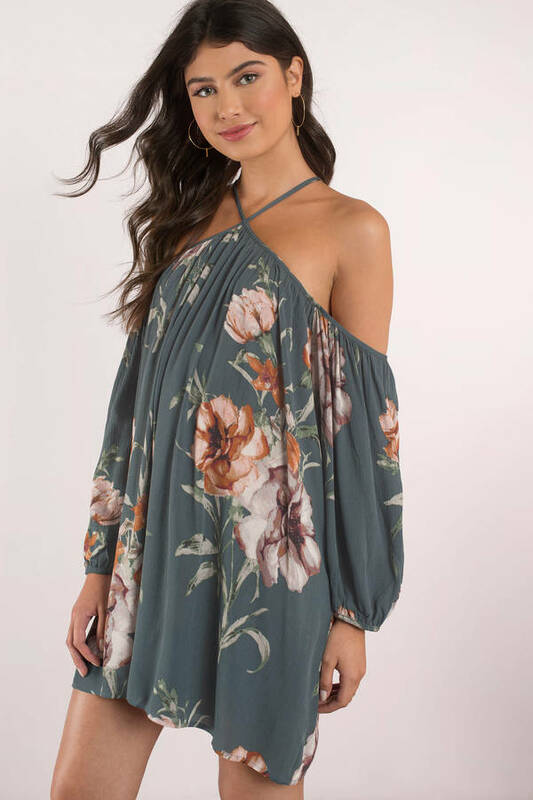 Check out Tobi's Nassau Floral Print Cold Shoulder Dress Paradise is right around the corner in our Nassau Blue Floral Print Cold Shoulder Dress. This blue floral sundress features a criss-cross halter neckline, cold shoulder balloon sleeves and a flowy fit. Pair this bohemian floral dress with hoop earrings and sandals for outdoor plans. 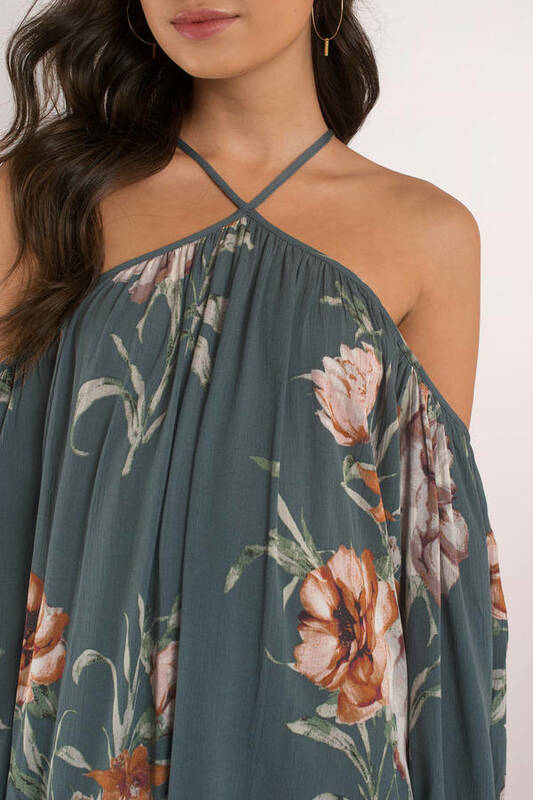 Paradise is right around the corner in our Nassau Blue Floral Print Cold Shoulder Dress. This blue floral sundress features a criss-cross halter neckline, cold shoulder balloon sleeves and a flowy fit. Pair this bohemian floral dress with hoop earrings and sandals for outdoor plans.